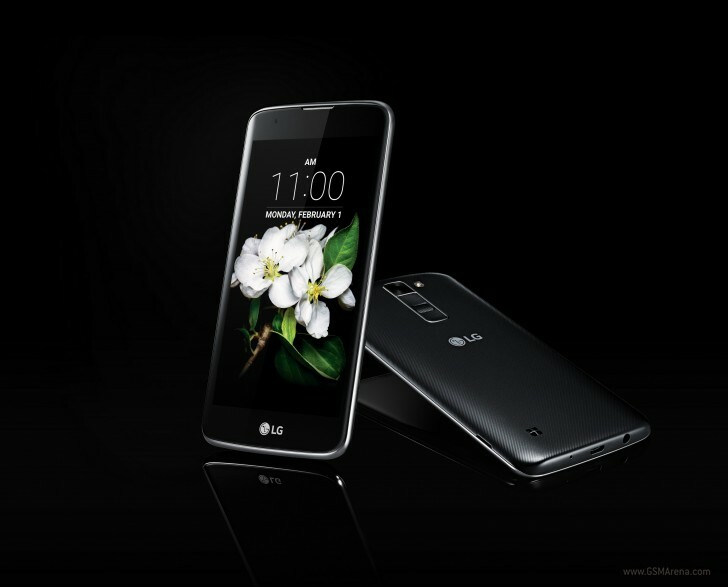 Today LG has unveiled its new K line of smartphones. This is meant to be the successor to the L series from a while back, as it also features affordable devices with certain premium-like traits. The first two handsets in the K series are the K10 and K7, both of which have been made official by the Korean company on this occasion. The K10 (pictured above) has a 5.3-inch 720p touchscreen, a 2,300 mAh battery, Android 5.1 Lollipop on board, and three color versions: white, indigo, and gold. The rest of the specs will vary based on which country you buy the K10 from, as well as whether you get the LTE-capable model or the one that's 3G-only. The LTE-enabled iteration of the LG K10 comes with a 13MP rear camera, while the 3G model has to make do with an 8MP main unit. In terms of front-facing snapper you can get either 8 MP or 5 MP resolution, depending on market. RAM amount can be 1GB, 1.5GB, or 2GB, while the internal storage is either 8GB or 16GB. There are four CPU options, three of which will be found on the LTE K10: 1.2 GHz or 1.3 GHz quad-core, as well as 1.14 GHz octa-core. The 3G K10 will have a 1.3 GHz quad-core processor. Moving on, the already leaked LG K7 (pictured below) comes with a 5-inch 854x480 touchscreen, a 2,125 mAh battery, a 5 MP selfie shooter, and Android 5.1 Lollipop. Everything else is once again different based on where the phone is sold, and whether you buy the LTE model or the 3G one. 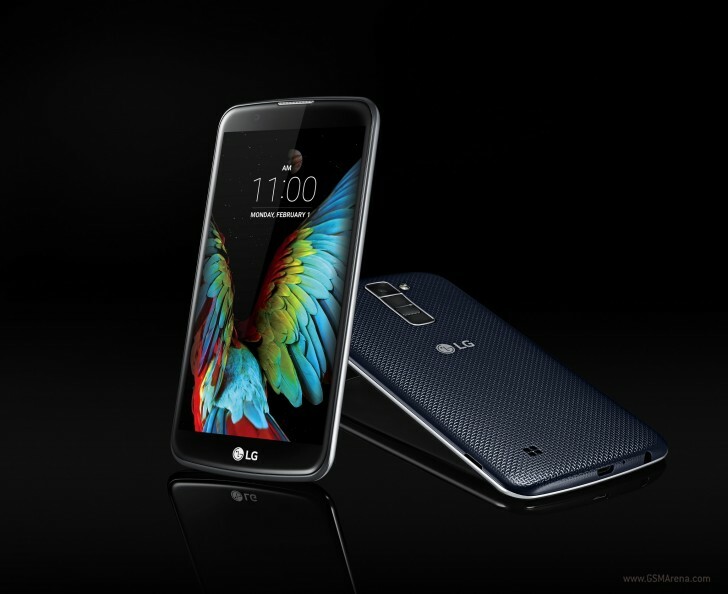 The LTE K7 has a 1.1 GHz quad-core CPU, while the 3G iteration sports a 1.3 GHz quad-core processor. The main camera is either 8 MP or 5 MP depending on market, RAM can be 1.5GB or 1GB, and the built-in storage is 8GB or 16GB. The LTE model will only be available in the "Titan" hue, while the 3G version will be offered in white, black, and gold. Both K series devices have LG's new "glossy pebble" design language, which employs a "curved, modern finish aimed at a younger audience". They both have 2.5D curved glass on top of their displays, and they will both be showcased at CES this week. Pricing and availability details haven't been announced yet.